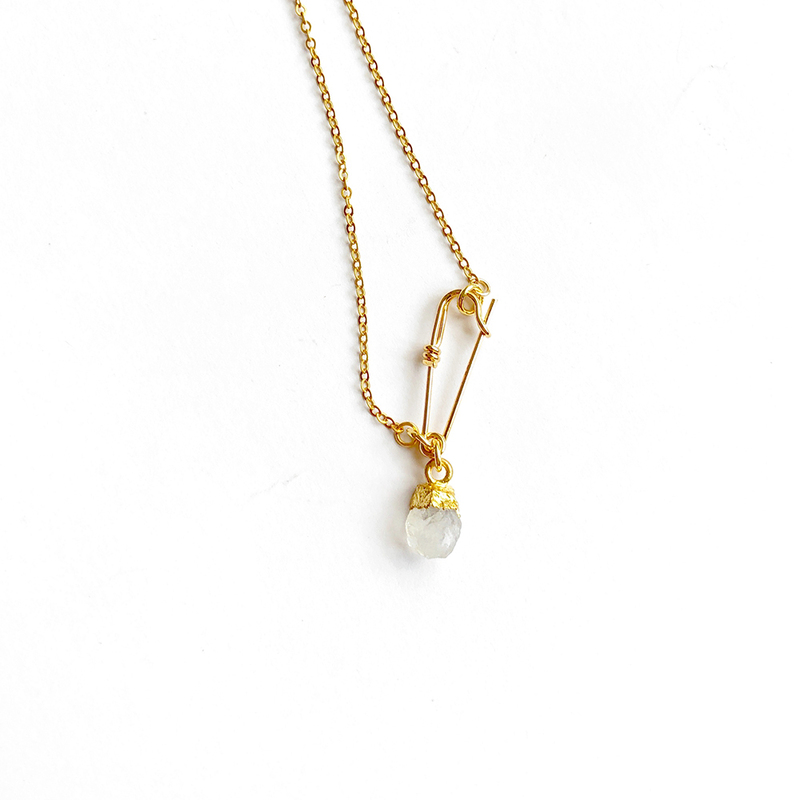 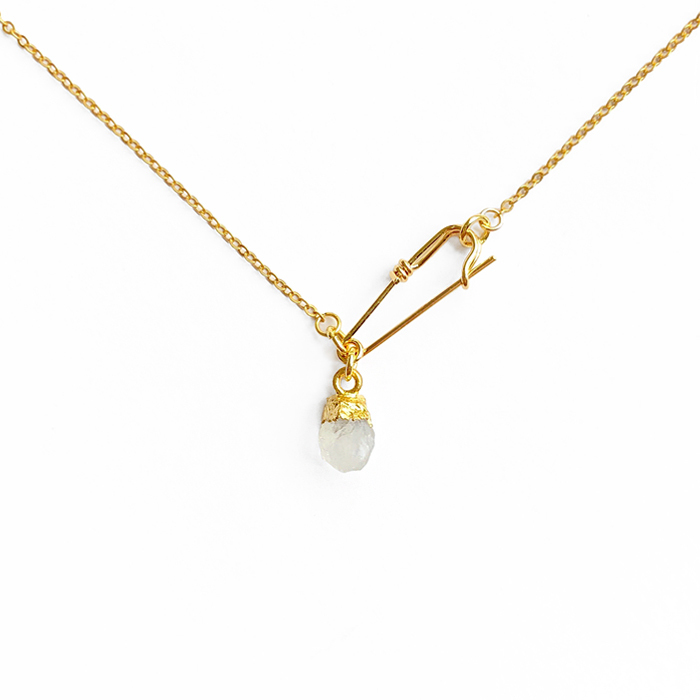 A beautiful moonstone hangs from a tiny safety pin. It is said that the moonstone brings hope, enhances feminine energies, sensitivity and intuition, it is the birthstone for the month of June. 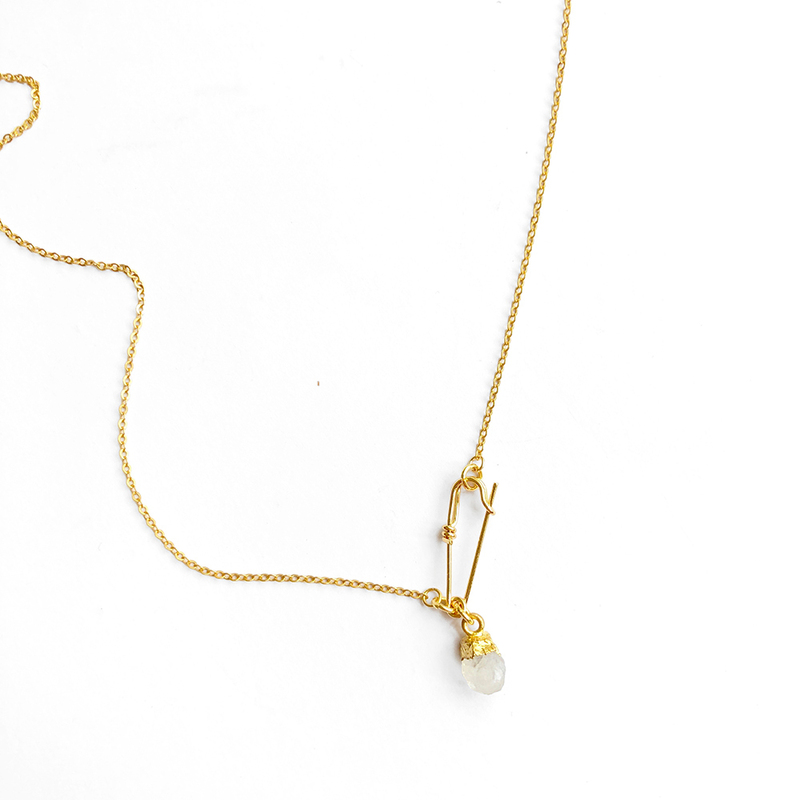 This necklace will be gorgeous gift for your beloved born in June. Circumference: 38 cm / 15"